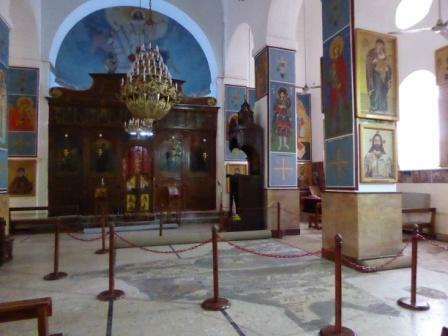 On a short visit to Jordan over the Christmas/New Year period, I stayed for three nights in Madaba. 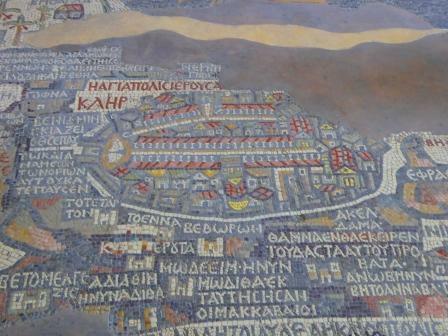 Most tours of Jordan stop off in Madaba to visit the church of Saint George (above), which is the site of the early Byzantine church which housed the world famous floor mosaic depicting Jerusalem and the Holy Land. 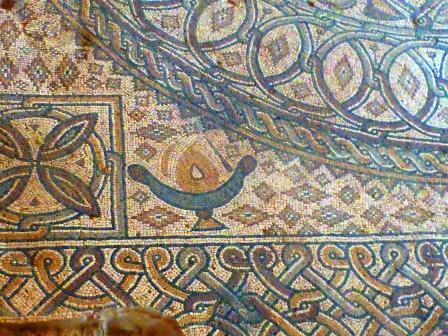 There are, however, lots of other churches in town and in the surrounding area which those people on group tours often miss seeing. 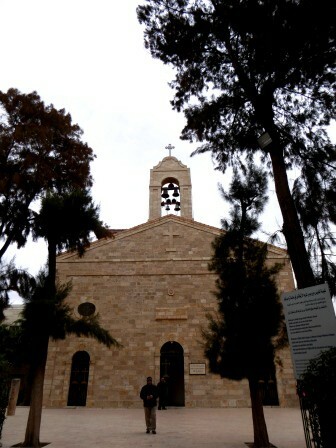 Most of the church remains date to the Byzantine period, the 6th, 7th and 8th centuries, and their re-discoveries were often the result of the resettlement of Christians in the region in the early 20th century. 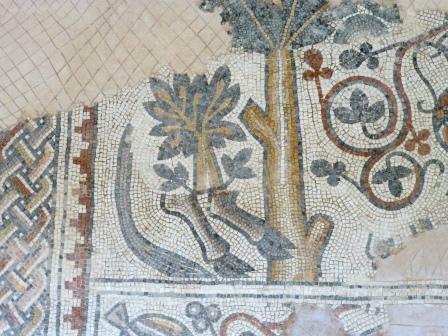 Christian Jordanians were permitted to build new churches in the resettled Madaba, but these were largely confined to the sites of earlier churches, and many mosaics, and other remains, were discovered during this period of construction. 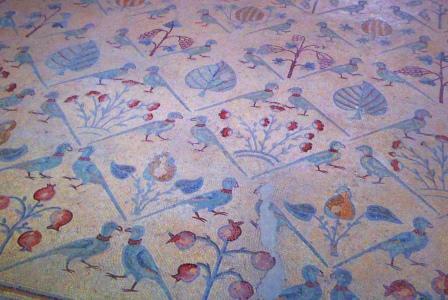 Many are still in situ. 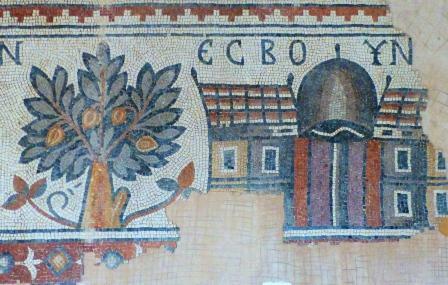 The Church of the Apostles, Madaba. 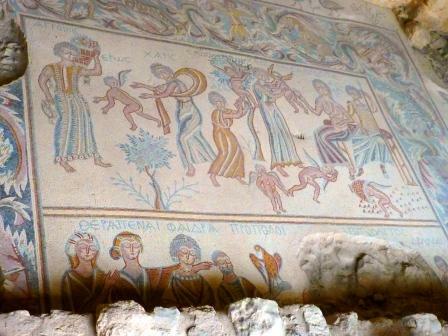 The personification of Rome, Gregoria and Madaba in the Hippolytus Hall, The Church of the Virgin Mary, which can be found in the Archaeological Park, Madaba. 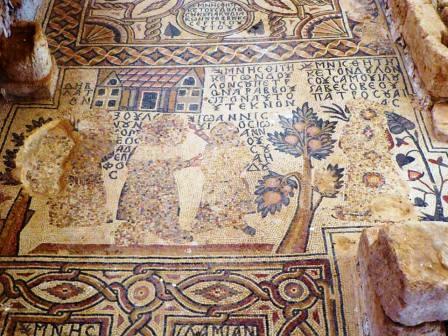 The Hippolytus Hall, The Church of the Virgin Mary, whcih can be found in the Archaeological Park, Madaba. 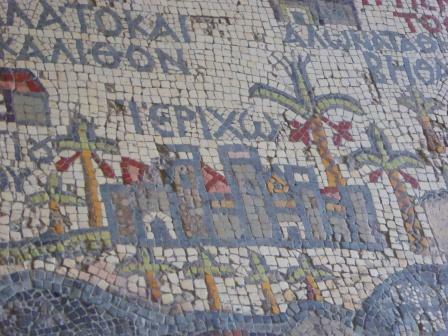 and religious scenes and symbols. 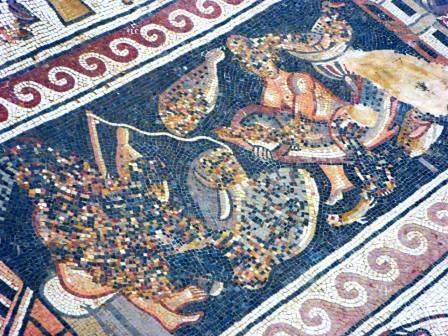 However, an interesting, and telling, phenomenon associated with many of the mosaics, is the evidence of iconoclasm. 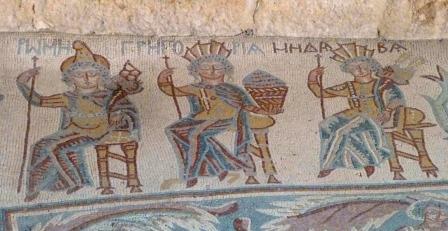 In a number of cases, mosaics have been altered, possibly beginning in the 8th century when the Emperor Leo forbade the use of images of people and animals (“God is the only creator”). 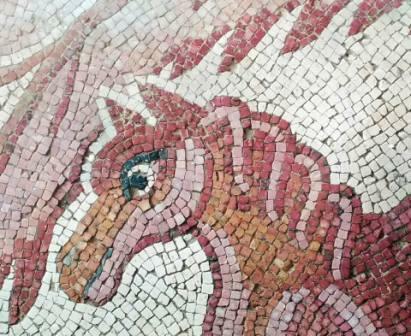 This doesn’t look like a frenzy of destruction though, rather the tesserae in the areas of the images being obliterated have been carefully removed and replaced with single-coloured or, randomly-coloured cubes. The images have, effectively, been pixilated out. 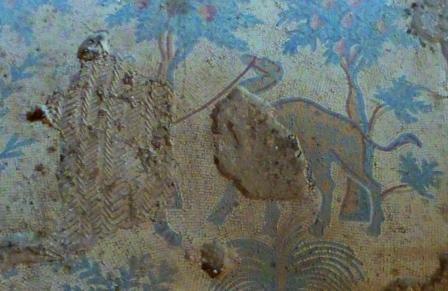 At the Martyr’s Church, Madaba, this camel has more or less survived but his owner has been carefully erased and replaced with a plain herringbone infill. 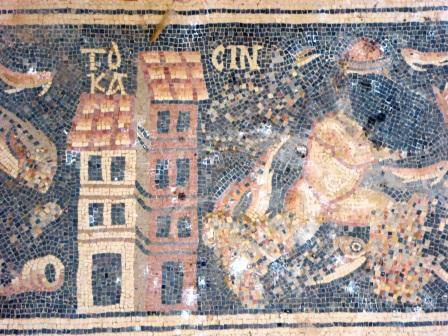 Some of the changes are a bit unsubtle, like this blotted-out animal (the feet and legs look like cow’s legs) with a small tree plonked over the top of i t.
This removal of images of people and animals may have been associated with the Byzantine iconoclasm, but it could have been the result of Islamic strictures or influence on Jewish and Christian communities in the region. It may not necessarily have been a directive ordering the removal of images, it may have been a voluntary action which was the result of a prevailing mindset. 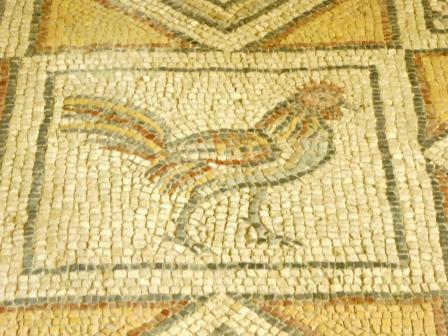 In any case, it was pretty interesting looking for mosaics which have been altered and adapted in this way. 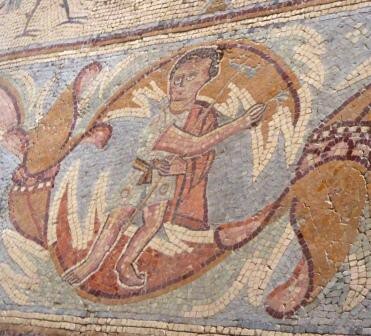 This entry was posted in Archaeology, Museums and Exhibitions, The Big Wide World, Uncategorized and tagged iconoclasm, Jordan, Madaba, mosaics. Bookmark the permalink.